Tribe infielder Kevin Newman set the table for the league's top offense for much of the 2018 season. In 109 games with Indy, he hit .302 with four home runs, two triples and 30 doubles, 74 runs scored and 28 stolen bases. He finished second among league leaders in stolen bases, third in runs scored, fourth in batting and fifth in doubles. Two of Newman's four homers were leadoff blasts against Columbus, making him the fifth Tribe player since 2005 with multiple leadoff home runs in a single season. He had 37 multi-hit games and set or matched career highs in numerous offensive categories, and the Indians went 12 games over .500 when he was in the starting lineup. He made his major league debut on August 16 with the Pirates and collected his first major league hit on August 24, a double at Milwaukee's Miller Park. Newman is the first Indians shortstop to win Team MVP honors since Brian Bixler in 2007 and the eighth overall since the Team MVP was first awarded in 1943. Tribe starter Tyler Eppler was a mainstay in the rotation over the last two seasons, bringing quality stuff and consistency to the mound every outing. This season, the 25-year-old went 13-6 with a 3.59 ERA in 28 games, 25 of them starts, and he went a perfect 8-0 in 13 games at Victory Field. Eppler was named to the International League midseason All-Star team in July after going 9-3 with a 3.06 ERA in the first half, the second midseason All-Star honor of his five-year career. He led the team in wins, innings pitched (153.0) and strikeouts (118). His 13 victories and 118 strikeouts were both career highs, and he became the first Tribe pitcher since 2012 and fifth since Victory Field opened in 1996 to have at least 13 wins in a single season. Jose Osuna bounced between Indianapolis and Pittsburgh many times in 2018. The 25-year-old excelled when playing in the International League, owning a .321 average (97-for-302), nine home runs, 26 doubles and a team-high 59 RBI in 82 games with Indy this year. His .321 average would have led the league if he had enough at-bats to qualify. The Venezuelan swung a hot bat right out of spring training, recording a .361 average in April en route to an International League Player of the Month honor. He was at his best with runners in scoring position, posting a .404 average in 89 at-bats to become the first Indians player since Gregory Polanco in 2014 to have an average of .400 or greater with runners in scoring position. Indians second baseman Kevin Kramer played in a team-high 129 games this season, his first at the Triple-A level. 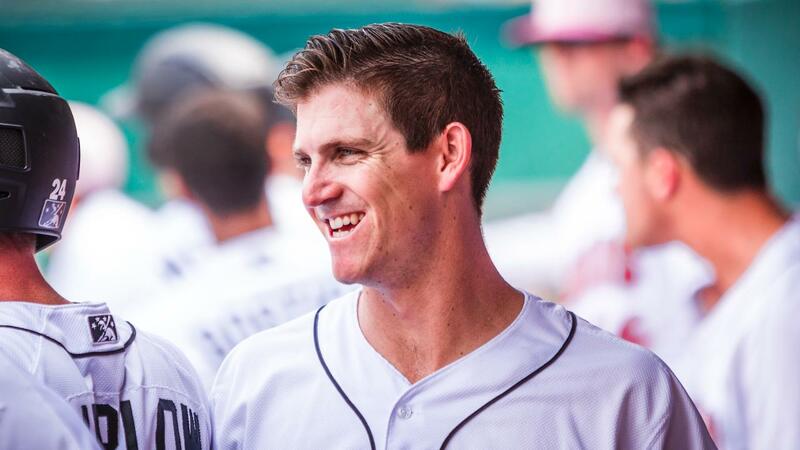 The Turlock, Calif. native was named to the International League Postseason All-Star team, becoming the first Indians second baseman to be selected to the International League's postseason All-Star squad. Kramer hit .311 (148-for-476) with a team- and career-high 15 home runs, 35 doubles, 59 RBI, 73 runs scored and 13 stolen bases. He was second in the league in doubles, extra-base hits (53), slugging percentage (.492) and total bases (234), tied for second in batting average, third in hits, tied for fourth in runs scored and fifth in on-base percentage (.365). Damien Magnifico was selected as the 2018 recipient of the Hustle & Grit Pitcher Award. Magnifico was on Indy's Opening Day roster and posted a 3-4 record and 3.57 ERA in 42 games. Four of his appearances came as a starter, a role in which he recorded a 1.64 ERA over 11.0 innings of work. International League opponents hit just .236 against the Dallas, Texas native, and he was especially dominant after the All-Star break with a 2.17 ERA. Pablo Reyes was selected as the 2018 recipient of the Hustle & Grit Position Player Award. The 24-year-old batted in six different spots in the lineup while making a minimum of seven starts at shortstop, second base, third base, left field and center field, in addition to being the designated hitter seven times. Reyes hit .289 with eight home runs, a team-high four triples, 20 doubles, 36 RBI, 52 runs scored and 13 stolen bases in 110 games for Indy. His .289 average was tied for eighth among batting qualifiers in the International League. He was among Pittsburgh's first wave of September call-ups, made his major league debut on Sept. 2 and recorded his first MLB hit and RBI on Sept. 4 vs. Cincinnati at PNC Park.